HVAC Portsmouth Plumber | R.A. Styron Heating & Air Conditioning, Inc.
R.A. Styron Heating & Air Conditioning, Inc. is the leading HVAC and Plumbing Services contractor located in Portsmouth, VA. Your home for Heating, Air Conditioning & Plumbing solutions in Portsmouth. Styron HVAC is the top-rated AC Contractor and plumbing service in Portsmouth, VA. We are a leading distributor of Portsmouth HVAC Plumbing services for both residential and commercial properties around Portsmouth Virginia. 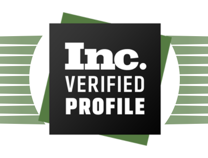 For the many years that we have been in business, we have amassed an enormous amount of HVAC & Plumbing experience and a wealth of satisfied customers. With more than 60 years of experience R.A. Styron will service all your plumbing, HVAC, and air conditioning needs. Why is R.A. Styron Heating & Air Conditioning, Inc. the most trusted HVAC & Plumbing contractors in Portsmouth, VA? We pay attention to details! Most other Portsmouth HVAC companies only operate on the premise of “Get in and get out quickly” with no regard to quality. However, at R.A Styron HVAC Portsmouth VA, we make it our responsibility to deliver only the highest quality products and services available in the market. When you contract our heating or plumbing services, you get reliable comfort that will last for generations to come. R.A. Styron Heating and Cooling contractor services thrive on the principle of professionalism. We train all our employees and technicians thoroughly in HVAC, heating & cooling, ventilation, air conditioning, and plumbing latest technology. 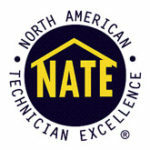 Our trained service technicians specialize in specific niches and strive to do the job right the first time. In the long run, we produce a team of experts ready to attend to any of our client’s problems. Being the top local plumbers and HVAC firm in Portsmouth Virginia, we make sure that we conduct product evaluations and training to ensure top level customer service and satisfaction. A successful business venture often thrives by creating a network of satisfied customers. So is the case with R.A Styron Heating and Air Conditioning, Inc. in Portsmouth, VA. Over time, we have established a solid network of loyal customers throughout Norfolk, Portsmouth, Virginia Beach, Suffolk, and Chesapeake. We accomplished this goal by providing great work in a timely manner. 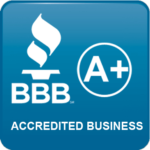 We have built our HVAC and Norfolk Plumbing service business by word of mouth and strong referrals from satisfied customers all over Hampton Roads. One of our foundations in this business of AC repairs Portsmouth VA is building lasting relationships with our clients. The only way to cement relationships that will last is if we are faithful to our word, and do what we say we are going to do. We exceed our client's expectations and as such retain their customer loyalty. Here at R.A Styron HVAC Portsmouth, we first listen closely to understand your problem and then offer the proper solution. We value our clients and strive to treat them with the respect they deserve. When all's said and done, hire the best plumbers in Portsmouth VA and we will serve you with integrity. We abide by the licensing and insurance policies of our state to see to it that we are on the right side of the law. When dealing with our HVAC Portsmouth VA branch, you do not have to worry about the safety and the skills of our technicians. We have the necessary skills and experience to provide top quality work for your home or business. All you need is to get in touch with us today, and we will address your heating, air conditioning, and plumbing needs. We are just a call away. Pricing is a huge aspect any time one is hiring a professional contractor. We work with our clients to minimize the costs as much as possible. Our pricing strategy is somehow different from other contractors who issue the price over the phone without investigating the problem first hand. Here at the Portsmouth division of R.A Styron Heating and Air Conditioning, Inc., we do things a little differently. We first assess the problem and then offer the right solution needed to solve your issue. We supply cost estimate to all customers to ensure their no hidden price surprises. Portsmouth VA HVAC and plumbing installations are serious investments not just because of the money that goes into funding the process but also because of the time factor involved. We understand the pressure and the confusion that comes with finding the right contractor. Believe this, nothing makes us happier than making the process more comfortable for you. Get in touch with us today, and we will fix all your installations, repairs and maintenance needs.